Counterprogramming involves competing with a big release by scheduling a film that’s the exact opposite. So you put a Nicole Kidman movie up against a Gary Oldman movie. Or if they do another Nemo film, you bring out an Omen film. Or on Justice League‘s opening weekend, you release something that isn’t terrible. Ingrid Goes West is a new comedy about an unhinged young woman (Aubrey Plaza) who starts following Instagram star Taylor Sloane (Elizabeth Olsen) – first on social media and then IRL. It’s essentially Single White Female for the Instagram generation. Single White Email. Armed with her phone and a load of cash she’s inherited from her recently deceased mother, Ingrid goes to Los Angeles to befriend Taylor and fulfil the stalker’s manifest destiny. The movie sends her out west to skewer the American Dream, which it does with pointed satire and caustic wit. Like a dumbed-down version of the excellent series Search Party, the film takes playful glee in mocking social media-obsessed Millennials. God that word is awful. Why can’t we choose our own label? How about Kylo Rennials? There are plenty of laughs at the expense of these pretentious tw@s and the insipid way they talk as though regurgitating Goop articles. Not because there’s anything inherently wrong with eating avocado toast, but because it’s all so fake. What makes this an interesting twist on the stalker movie is the idea that social media is full of Ingrids, all pretending to live idealised lives and using one another as social stepping stones. It’s a film about pretence and the failure to appreciate what is real, and the misery that can cause. It will make you want to destroy your phone – a feeling familiar to anyone who saw The Emoji Movie. The cast is strong too. Plaza’s strangely sympathetic performance is similar to Jennifer Jason Lee in Single White Female, while Olsen is highly watchable as the most awful Taylor since Swift. 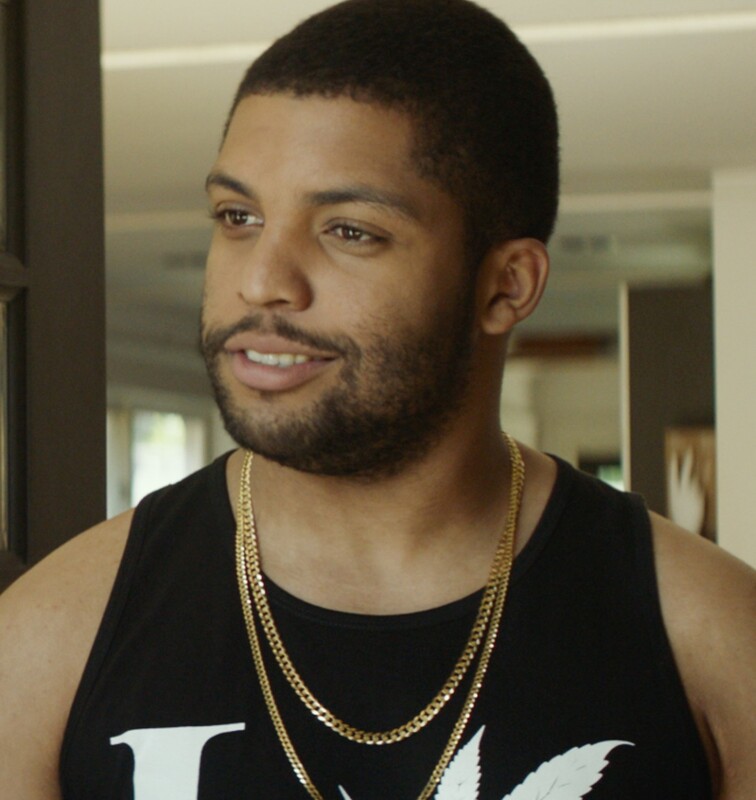 O’Shea Jackson Jr. AKA Ice Cube Jr. is enjoyable as well, but it’s a strange trait of the film that the men are the only people with any depth or decency. Luckily there’s one male character (Billy Magnussen) so objectionable it almost balances out again. It would also be nice to see one of these movies where the stalker and her target don’t conform to such obvious visual stereotypes, though director Matt Spicer does seem to be playing with those tropes rather than simply reinforcing them. The other problem is that the film places such emphasis on Instagram that it surely has the shelf life of an avocado. Ultimately Ingrid Goes West aims higher than a lot of teen movies and does have something to say, and has a lot of fun saying it. In terms of stalker flicks it’s no The King of Comedy, but it’s better than The Fan. Or to put it another way – it’s not exactly a Robert De Niro movie, but at least it’s not a Robert De Niro movie.